Okey Egbuchu, who currently chairs the Conference Planning Committee of the 2018 NBA-SBL Business Law slated for Abuja, Nigeria on the 27th – 29th of June, is an astute and versatile commercial lawyer with extensive experience in key practice areas such as corporate and project finance, construction and infrastructure, and energy law. A litigator at heart, Egbuchu began his legal career in civil and commercial litigation, and still handles a portfolio of such cases. 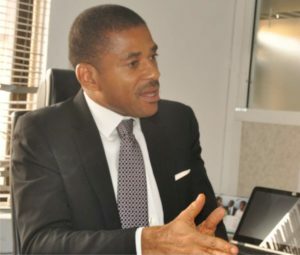 A pioneer in gas pollution litigation in Nigeria, he joined the law firm of Ukpong & Omotoso (now CLP Legal) in 1994 as an Associate and rose to become a Partner in 2001. 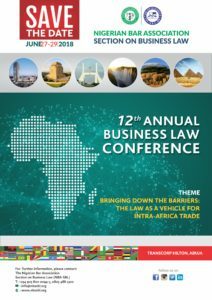 NEWSWIRE: The theme of the 2018 Business Law Conference is ‘Bringing Down the Barriers –The Law as a Vehicle for Intra-Africa Trade.’ What influenced the choice of this topic, and how will it benefit stakeholders? >>> EGBUCHU: The theme derived from the vision of the SBL Chairman, Mr. Olu Akpata who wanted us to focus on Africa. I had the task, as the CPC Chairman to formulate topics relating to Africa. All I could think of was integration and co-operation. 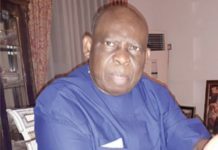 So I framed the topic, which was further refined by the SBL Council and the Chairman of the CPC Programme Sub-committee, Mr. Kunle Ajagbe. That’s how it came about. As for benefits to stakeholders across Africa, you’ll recall that the Continental Free Trade Agreement (CFTA) has come into focus. A few weeks ago, the President (of Nigeria) avoided going to Addis Ababa to sign it. But it has become a topical issue, and to the best of my knowledge, this will be the first announced public platform to really discuss issues around African trade and integration since the signing of the CFTA. We are encouraged by the calls we have received from stakeholders, including people in government, who have expressed their desire to participate and discuss the CFTA within the broad topic of our conference. What impact will, the proposed Continental Free Trade Area Agreement have on the Nigerian economy, and particularly on the young lawyers who want to ply their trade across national borders? >>> Every trade bloc has experienced astronomical growth over the years –be it the EU (European Union) or NAFTA (North American Free Trade Association). Africa’s case should not be any different. The Nigerian economy, which is the largest in Africa, is expected to grow at a higher rate. The UN Economic Commission for Africa estimates that the African economy will reach $29 trillion in size by 2050, and Nigeria will be responsible for a huge chunk of that. So, we expect that with more intra-regional trade among African countries – which at present is only at about 17%, -will be boosted up to as much as 70% in the coming years. If this happens, the Nigerian economy can only benefit. For young lawyers, since African countries will be trading among themselves, you’ll expect, of course, that there’ll be more business being done across the continent, so businesses should be able to take their lawyers into these countries. Being more mobile than the older professionals, young lawyers will likely adapt more quickly to these changes. We also expect the existing barriers and restrictions to trade to be eased. Nigeria, too, must open up for lawyers from elsewhere to come and practice – though we have by far the largest number of lawyers in Africa. If you remember, during the International Bar Association Africa Regional Conference held in Lagos in Year 2004, we learnt that Kenya, Uganda and Tanzania had between them, just about 2,000 lawyers, at that time, whereas in a year, we churn out more than that number. The whole of East Africa doesn’t have more than 10% of Nigerian lawyers. I doubt if any country in Africa produces as much lawyers as Nigeria. So, we (Nigerians) are the ones who stand to benefit the most from this free trade area agreement because of our population, and we need to get them jobs and not just lawyers, other professions, skilled and unskilled labourers will benefit. What does the SBL look forward to accomplishing with this 2018 Conference? >>> We need to sensitize and help prepare lawyers for the advent of the CFTA. Our lawyers are still a bit uninformed as far this CFTA is concerned, and indeed about Africa generally. They need to see the benefits. We have a whole plenary session that will focus solely on that, and the whole concept of African trade and integration. Apart from the few commentaries and talking points generated by the President’s cancelling his trip to Addis Ababa to sign the agreement, this will be the first real platform for us to discuss these issues in some depth. Every conference has its challenges, share with us some of the challenges faced by your committee? >>> Our biggest headache by far has been that of assembling the prospective speakers and panelists for this Conference. Our conferences over the years have always been international in scope, but this year’s edition will be even more so. In view of the challenges of reaching both international and Nigeria-based speakers and panelists, we have had to rely more on personal contact, in addition to the usual channels (e-mail, social media, etc). And we’ve penciled down about 70 or so speakers/panelists, some of whom are in official government or corporate positions and can be reached through official channels. Others you can only reach personally or through intermediaries to get them to commit. But we are getting a handle on it. SBL is known for its selection of high profile speakers and panelists. Who are the speakers expected at this year’s conference? >>> We’re expecting some organizations, and speakers specifically from these organizations. For instance, we’re expecting representatives from the African Development Bank (AfDB), the African Export-Import Bank, the United Nations Economic Commission for African, the AU Commission, the International Air Transport Association (IATA), ECOWAS and many more. Also, we have confirmed many panelists and speakers, such as Michel Brizoua, the Chairman of the African Law Firms Association, David Ofosu-Dorte, the Senior Partner of AB &David, an international law firm with many offices in Africa. He is coming to lead the discussion on Re-imagining the African lawyer in the time of the Continental Free Trade Area. He is quite knowledgeable and experienced in these areas, being the Senior Partner of an international law firm indigenous to Africa. Ambassador Chiedu Osakwe of the National Office of Trade Negotiation who led the negotiation of the CFTA for Nigeria. We’re expecting Dr. Emilia Onyema of the School of Oriental and African Studies, University of London, who will lead the discussion on ‘Establishing a Framework for Resolving Intra- African Commercial Disputes’. 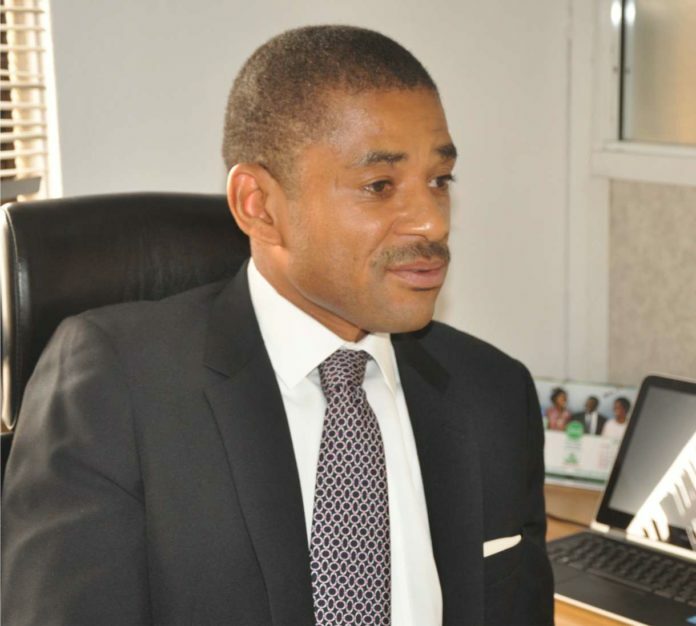 Mr. Yemi Candide- Johnson, SAN will chair that session. So, we have a loaded programme. We invited the Chairman of the African Union, President Paul Kagame of Rwanda to be the keynote speaker, and we are expecting his feedback. In a lighter mood, we thought that this was an opportunity for President Kagame to come to Nigeria and discuss the CFTA with his Nigerian counterpart and maybe convince him to sign on. We are also expecting one or two other African presidents, but I will not let the cat out of the bag at this time. As a top SBL council member, what are some of the SBL programmes that have had a meaningful impact on the business community, government policies and on foreign investments? >>> SBL has always been at the forefront of ensuring that the laws, rules and regulations of Nigeria are business-friendly. When the Vice-President (Prof. Yemi Osinbajo, SAN), who of course is a lawyer like us, was elected in 2015, we were quick to give him a long list of things that we wanted to see done. 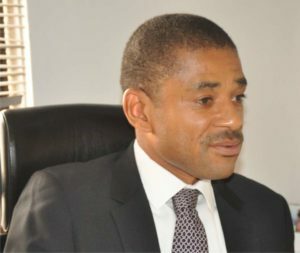 We have always been involved in the formulation of government’s regulations in business as a major stakeholder in PEBEC; and some of the legislation coming from the National Assembly to make sure that we change some of the laws and regulations that impact business for the greater good through NASSBER. As a result of all these engagements, you can now see that Nigeria’s global Ease of Doing Business ranking has improved tremendously, according to the World Bank; we’re among the top 10 improvements in the world. And the federal government has acknowledged our contributions in this regard. What would be the attraction of this year’s Conference and how would the outcome affect the ‘Change’ mantra being propagated by this administration? >>> Everything about this conference is attractive, from the topic itself, which is Africa-focused, to the CFTA in particular, which is clearly structured to be the future and the foundation of Africa’s economic growth, to the broad areas we’re going to cover, such as Enabling e-commerce across the African Continent, to enhancing transport connectivity in Africa, to financing intra-African trade and development, to the movement of skilled labour, goods and services, to consumer protection and standardization of products, to ease of doing business. Not to mention the social events; we are negotiating to bring the show Fela & the Kalakuta Queens to Abuja, and we are also negotiating with one of the top music artistes and a top comedian in the country. Delegates are coming from all over the world. So there are lots of networking opportunities. 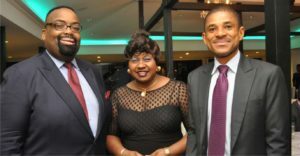 Successive SBL Conferences have always been held in Lagos and Abuja. If given a thought, do you think there could be a change to other states of the federation, and what would be the consideration? >>> I doubt it. The problem these other locations have is that of connectivity. Lagos and Abuja provide the best connectivity to the outside world. All the airlines in Nigeria basically operate out of Lagos and Abuja. Yes, one or two operate in Port Harcourt, Enugu and Kano. So if you’re bringing international speakers, as we do all the time, it makes greater logistic sense to bring them to either Lagos or Abuja. Some will even refuse to come if the venue is anywhere other than Lagos or Abuja. These other locations seem rather remote to them. Lagos and Abuja also provide the best options for facilities for hosting international conferences. Moreover, you want to hold a commercial law conference in big cities rather than in provincial areas. So for now, it is difficult to see the feasibility of a conference of this magnitude outside Lagos and Abuja. Having said that, we recognize the need to reach out to these other areas. That is why our smaller seminars, organized by our specialist committee, are moved around the country. Young lawyers in particular derive a lot of benefits from these seminars in terms of career and professional growth. 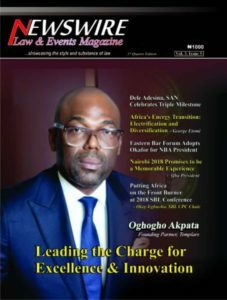 Briefly access the state of commercial law practice in Nigeria today –how has it contributed to the growth of the country’s economy? >>> Commercial law practice in Nigeria is currently in a good place. In the past 20 years, commercial law practice has expanded into areas such as telecommunications, IT, entertainment, power, infrastructure, and so on. So you have more industries, and all these areas have their foundations in laws and regulations and commercial lawyers are at the forefront of putting these regulations in place. Some of them are yet to have comprehensive laws governing them, but we are working on them. 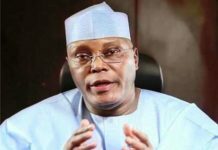 And the growth of these areas, and the economic expansion that has resulted from this growth, is what has led to Nigeria’s emergence as the No. 1 economy in Africa. And our contributions in this regard are immense. You are experienced in Infrastructure and PPPs, real estate, project and corporate finance and maritime law, amongst others. With your vast knowledge, what advice would you give to younger lawyers who want to develop a career or their expertise in these areas? >>> First, young lawyers need to practice generally. Areas of law are interrelated, so you need to have a good foundation before you start narrowing down to core areas of specialisation. They should attend courses in the areas they wish to specialize in, which would upgrade their knowledge in a short period. Also, they should join associations that propagate their desired area of practice. The SBL, for instance has many committees. Join a specialist committee, participate at their events. Have a mentor and develop yourself in that area. These things come over time. These activities also help you in terms of networking. And if you happen to be in a law firm that practices in an area of interest, the transaction experience is invaluable.. Young lawyers are more in tune with social media, so it is only natural that they should put themselves out there for people to be aware of their expertise. What are the complex challenges you think commercial lawyers and law firms are facing in the business environment today? >>> I don’t know if these problems are complex, but I know they are real. Thanks to the recession, there is less money in our pockets today. If there is no business for you as a commercial lawyer, then there is no money. In addition, lots of clients do not really appreciate the need to pay a commercial lawyer in value terms – except when they are in big trouble. They see your service as intangible; they don’t see money, so they don’t want to pay you in terms commensurate with the service you’re providing. But by far my biggest problem is the slow dispute resolution mechanism in these parts. I cannot quantify the damage it has done, and all stakeholders are guilty – from lawyers who file frivolous applications to delay cases that they know they have no chance of winning on behalf of their clients, to judges who are not firmly in control of their courts, to the administrators of our justice system, who are slow and waste time, to the government itself which would not obey court orders, who will not release enough money for capital expenditure to develop the courts. Getting the right legal talent is another problem; there are many lawyers, but getting the right, dedicated talent, and managing the millennial generation, who have a different idea on how to go about these things, is also a challenge. It’s a big headache for the managing partners of top firms, in addition to all the overheads. If the administration of justice is greatly improved and speedy, and the economy improves, surely lawyers will enjoy. What measures are in place to guarantee the safety of participants? >>> Our logistics team is working with the police as usual; we do that every year. Our private security and transport providers are also working hand in hand with the management of Transcorp Hilton Hotel, where the event is going to hold, to ensure a safe and secure event. We have never had any incident at our conferences. We have a system in place, so we are not really worried about that. Snappily share with us your background and growing-up years. >>> I am from Nkwerre in Imo State. I was born in my village during the Nigerian civil war; I am a village boy. The civil war impoverished many families in the East of Nigeria, including my family. Things got better in the ’70s after my parents furthered their education, improved themselves, got better jobs and became more comfortable and sent me and my siblings to private nursery and primary schools, while still residing in a room and parlour. Like most parents for them education came first. As a young person, I grew up in a middle class family. My parents were strict disciplinarians; I can’t remember them sparing me. I obtained my WASC from Federal Government College, Sokoto, and attended King’s College, Lagos for my A Level. I graduated from the University of Nigeria in 1991 I went to school in the north, east and west. I was called to the bar in 1992. I served at the Federal Ministry of Justice, Lagos. Thereafter, I have been practicing in one place. I started my carrier in private practice in Ukpong & Omotoso. We transited to Consolex Legal Practitioners in 2006, and now we have transited to CLP Legal. You are a commercial litigator as well. What is your take about the state of commercial litigation in the country? At the end of the 2018 Conference, how would you want to be remembered? >>> As I said before, the slowness of the process is what bothers me. But there’s a lot of activity in this field. New areas of law ensure that novel cases and, issues arise. By and large, judges have been innovative in tackling some of these cases. Commercial litigation is big and vibrant. We hope that in time, we will get paid monies commensurate to what we do. But I think we are in a good place; litigation practice is one area where there’s no barrier to any lawyer who wants to get into it, unlike transactional law practice. We have many good commercial litigators in Nigeria, but we need a situation where there is improvement in the system, especially with IT, and with lawyers’ attitude. The present leadership of the Chairman Mr. Olumide Akpata is rounding up. How would you like to quantify his achievement in this short period? And don’t you think the term of two years should be extended to four years to give enough time for suitable administration? >>> Olu Akpata has done very well. There are lots of structures the Council has put in place which the incoming executive will inherit, for instance an improved operations manual and robust guideline. As for length of tenure, I think 2 years is long enough to achieve whatever one sets out to achieve. Executives of most other professional bodies serve for 2 years or less ICAN, Institute of Estate Valuers and Surveyors and some others. The executive is run in such a way that it’s ‘Soja come, soja go.’ It’s a system which does not depend on one personality or the other. Though the council chairman gives directives based on his vision, there is a system in place to implement the vision and programmes of the SBL. Council doesn’t dissolve; new people come in, but majority of the council stays put. Olu Akpata is the youngest ever chairman of the council so far, and he has reorganized the specialist committees, to be very active. They have held more events within the last six months than any other time in the history of SBL. The only thing I wish to be remembered for after this year’s SBL Conference is that I maintained and exceeded the standard set by my predecessors. We always raise the bar each year, so we will raise the bar again this year. That’s what I’d like to be said about me: ‘The man who raised the bar’. NEWSWIRE: Thank you for your time, sir. >>> EGBUCHU: It was my pleasure.